In some circles, great design is still considered a luxury. But more often than not, this idea is a fatal flaw for a brand. Today’s consumer has sophisticated visual tastes created by the most creative communicators in the world. Their reference point for this is not just your competitors—it’s every message they get from any industry. This is why great design is actually a brand differentiator. Great design provides instant visual cues about your brand that affiliate it with other brands familiar to the viewer—allowing them to decide in as little as a second if they want to further engage with you. The more oversaturated people are with information, the more they rely on these cues as short cuts for adjudicating a product or service. It’s simply an efficient way of navigating information. Spend heavily on a media buy, but use so-so stock images and design that send the viewer packing after one look. Spend millions on a new building and cheap out on photography. A top-drawer architectural photographer will bring a wow to your image that will pay off handsomely. Invest in new technology or services, then depict them on a visually inferior website. It’s better to go with less in other areas than to settle for also-ran design. Creative work developed by CMBell Company and our clients has received five awards from the 33rd Annual Healthcare Marketing Advertising Awards Competition—the country’s largest healthcare advertising awards competition. Silver awards were given for Adventist HealthCare Shady Grove Medical Center’s OB admissions booklet and Glendale Adventist Medical Center’s 110-year Anniversary video. A merit award went to Adventist Health Southern California Region for a brochure and videos to launch their new strategic plan, and another merit award was given for the Adventist Health Urgent Care - Montrose clinic’s motion graphic video. Simi Valley Hospital in southern California received a merit award for their OB campaign creative. We celebrate the hard work and creativity of our clients and our team in bringing together these creative projects. You’ve put together an elegant campaign—all the right messages, all the right media. And then it happens. You drive the reader to your website, and lose them. This occurs too often, but there’s a simple solution: the campaign microsite. A campaign microsite is a website that is exclusively developed to support the campaign. It allows you to control the user experience, deliver on your ad promises, and curate the strategic messages you want your viewers to see—without any advertising messages that you can’t control. It also keeps the viewer from having to dig through your website to find the promised message—which often ends up losing them if the content can’t be found fast. Want to see a microsite that’s working in action? Email us at TalkWithUs@CMBell.com for one of our latest examples. Bigger. Better. More. That’s the theme we created to help Littleton Adventist Hospital leverage their 25-year anniversary to refresh their brand and show how they’ve grown to meet their community’s needs. In addition to direct mail and print ads, we worked with them to produce a video, Web content and elevator wraps. Use quality photos that are better than your competitors. Make your videos entertaining—when appropriate. Make your writing better than your competitors. Provide useful content that isn’t just about your company. If you’re serious about social media, commit resources to monitor the conversation so you know what the crowd is saying about you. This short video brought a powerful response when shown to policy makers and stakeholders—and went viral among other state private education associations. It shows how complex messages can be simplified using an animated video technique. We use our blog to provide short, easy-to-read tips on how to improve a business’s marketing and communications. Even a simple but entertaining e-card like this—posted on your social media channels and website—can increase views. The role of the health care marketer and communicator is changing—that’s not news. But what will it look like? In the Sept./Oct. issue of Spectrum, the member newsletter of Society for Healthcare Strategy and Market Development (SHSMD), we suggest the critical skills tomorrow’s pros will need to master. Which of these do you think will be most important? Creative work developed by CMBell Company has received two gold and one silver award from the Aster Awards competition, an international health care marketing awards program. A gold award was given for developing the online graphic identity guide (GIG) for Loma Linda University Health. The online GIG can be seen at lluhealth.org/gig. 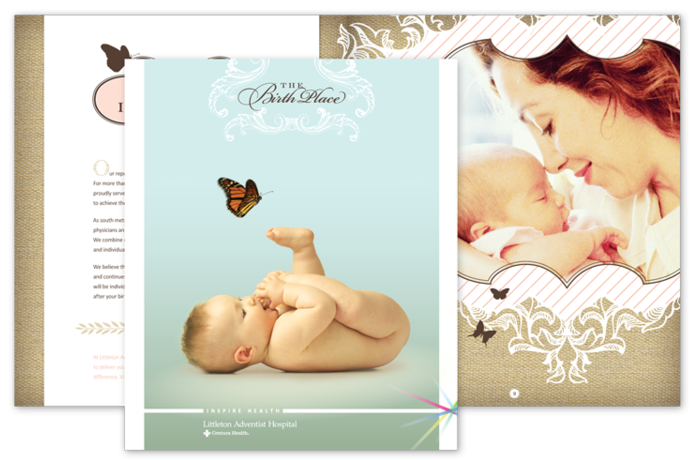 A second gold award was given for a Colorado hospital’s brochure for expectant moms. It can be seen here on our blog. The silver award went to White Memorial Medical Center, an LA-based hospital, for three videos we produced for their centennial celebration. One of the award-winning videos was produced for their 2013 Centennial Gala at the Beverly Hills Wilshire hotel. Entries are judged by design and health care marketing professionals on creativity, design, typography, production, quality and overall effectiveness. Inspire more loyalty in your customers. Help employees become more purposeful and focused. Reinforce culture. Encouragement and increased sense of purpose is a great motivator. Improve employee engagement. Want to improve service or quality? Celebrate employee successes to reinforce the behaviors you prize. Make work more meaningful. Employees who are inspired by the grander purposes of their work will do better work and be more loyal. Reinforce brand messages. Been around 100 years? Talk about the ideas that made this milestone possible, and your vision for the future. Encourage high-level goals. Employees focus on the ideas leaders and organizations talk about. Make other necessary communications serve a dual purpose—like pairing the celebration message with a community benefit report or holiday greeting card, for example. Thank your customers, volunteers and the people who made you successful. A hospital’s deeply held values are brought to life and tied to the celebration message in this video. This video recognizes employees, physicians and volunteers by showcasing White Memorial Medical Center’s employees sharing what it means to work there. 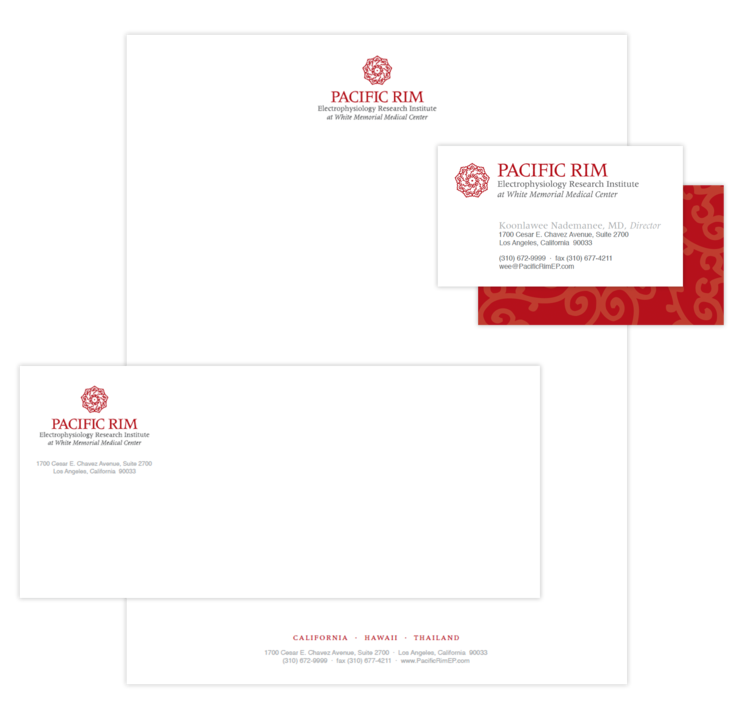 Combining a holiday message with a centennial message is a good way to stretch your marketing dollars—and stand out from those dull pre-printed greeting cards. YouTube? Photo sharing? Social bookmarking? Twitter? Facebook? Pinterest? Let’s face it. Very few organizations have the resources to be all-in even the top five social media sites. There’s one strategy that trumps all other social media strategies, and that’s this: the creation of relevant, fresh, quality content. Pure and simple. Social media is about sharing ideas that people find interesting, useful or entertaining. It doesn’t matter how many videos you post or how often you post on Facebook if you have nothing of importance to say. So take a moment and set aside the angst about which social media options are right for you and ask yourself this one question: What content can we offer our readers that would make them want to come back for more? Once that’s decided, you can more easily evaluate the various platforms to see which work best for your customers and your content. We’re not going to say that print doesn’t still have an effective place in a business’s communication strategy, because it does. But we do believe that the tremendous increase in online content signals a continued shift to video as the consumers’ preferred method of receiving information. Web and social media is the distribution method of choice. You have a limited media buying budget. The product/service excels when showcased visually. You want to show how something works—rather than describe it. A personal connection will attract sales (customer testimonials, for example, or a health care provider who wants to build a practice). Adding music, voice and motion is needed to make the message more arresting. Your target audience is prone to online searches. A great video of your product or service will outshine your competitor. You want to reinforce key points quickly, and need the power of both audio and visual to deliver them. Your message can be entertaining. In what areas of your life do you prefer to watch a video over reading the same material in print? Is Your Hero Photo Really a Hero? Your website home page is your new front door. For many organizations, it’s the first impression of your brand, and for some online businesses, it’s the only impression. So stop by your own home page and ask yourself whether your main photo is doing its heroic work of presenting the brand attributes your company lives by. If your organization is one of those who feels that pictures are a luxury—rather than one of the most critical online Web brand assets—then invite your budget decision-makers to cruise through this site that shows hero photos living up to their names.